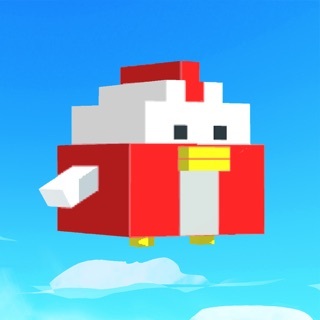 • Tickle the Wiggly Egg to claim daily rewards! 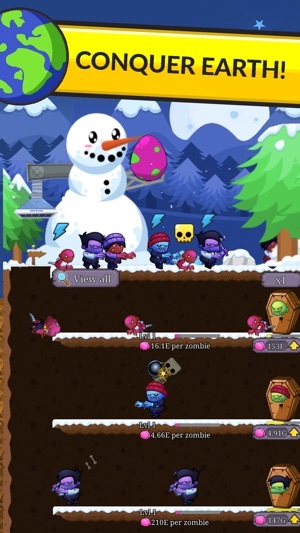 Got any problems or suggestions with our zombie game? Tap the Chat button in Settings, or join our Discord server to LIVE CHAT directly to the developers! Christmas Event is over! Thanks to everyone for taking part. The next update will have some big new features for you all! 1. )I see that you just have earth and three stages (which I have not gotten to yet) should have different varieties of zombies based on the stage or planets. 2.) 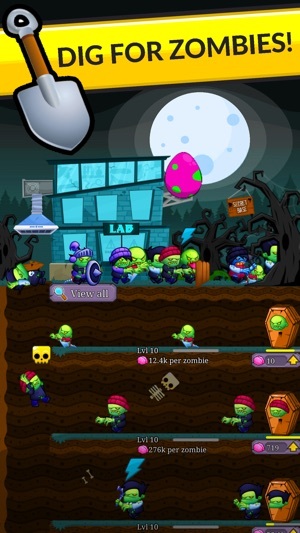 you should have humans and other creatures to come through trying to attack your lab (which just lower your brain capacity) so you can make a separate group of zombies to protect your lab and upgrade them. 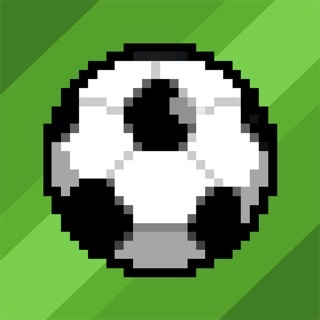 Other than that this game is good keep up the good work guys! HI Jattermanfish, such good feedback - thank you! 2) Wow to this idea, it's a big addition but would be a cool one! Hope you're still enjoying the new updates! To begin, allow me to say that the staff are lovely. I experienced a glitch on my second prestige, and received a personal response inside of 12 hours. The game is enjoyable, to a point. You have your basic clicker / idle game points, you have the option of watching ads for enhancers (not mandatory, they don’t pop up, you choose if you’d like to see them). I’m up to 120 million respawn / prestige tokens now, and I’ve noticed absolutely no difference in zombie value from 80m to 120m. I’m not going to write a scathing review, because I did thoroughly enjoy the product they created. I would simply advise them to work on the math associated with rebirthing / regenerating. Hi Sweeney2391! Thank you for giving us this valuable feedback! As a two-man team we need all the help we can get and appreciate it. 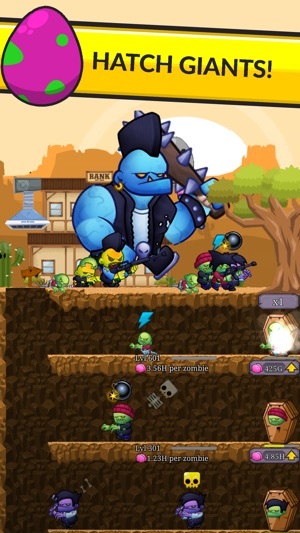 For some reason, I love Idle games. This one is very simple, easy to pick up and put down, not horrid on adds, and has great artwork. So why not 5 stars? 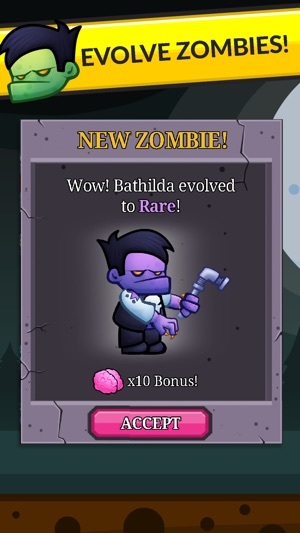 It really bothers me that I don’t feel like I understand the zombie upgrade system. I get the part where we collect body parts, but I feel like I don’t understand what upgrade each zombie is on. It just makes it feel less special to me or like I have achieved something, but not sure what. Anyway, I believe 2 guys have made this game and I can’t give enough props to a two man team. My complaint is minor, but I’d like to see that change in an otherwise great idle game. Turdburglartom, your name is awesome. It makes you untouchable. Thanks for the kinds words. 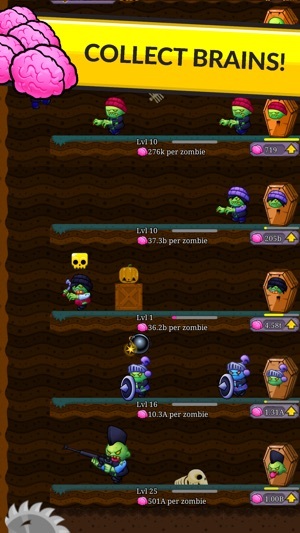 We agree, the Zombie upgrade system can be a lot clearer, we'll improve in future versions. If you hit the 'View All' above Zombaby, does it make more sense, or is there still a lack of clarity?